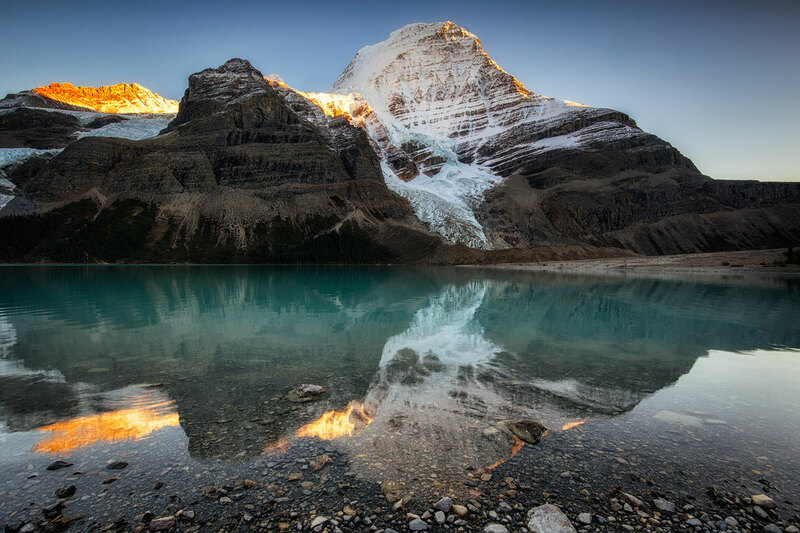 The Berg Lake Trail is amongst my favorite multiday hikes in the Canadian Rockies. 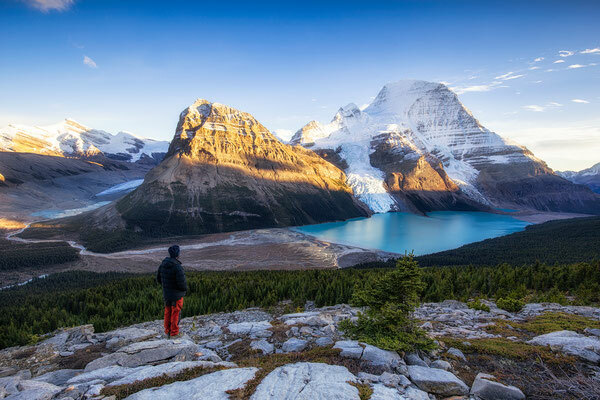 This moderate 42 km hike will take you through diverse landscapes including turquoise lakes, waterfalls, glaciers and around the highest peak in the Canadian Rockies - Mount Robson. 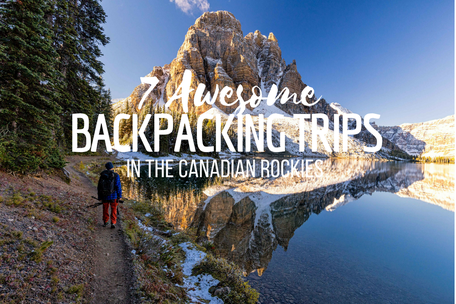 I first read about this hike when I was doing a research for my move to Canada last year. I scrolled through hundreds of pictures on instagram and google to see what I could expect! 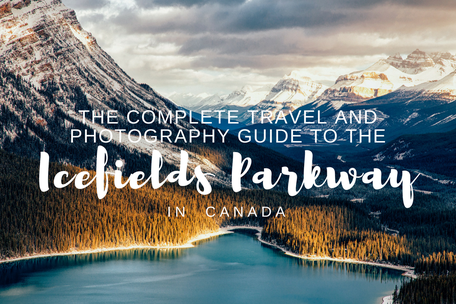 It was later recommended to me again by a couple of friends I made whilst hiking in the Mount Assiniboine Provincial Park. They spoke about it so enthusiastically I didn't even give my legs a chance to rest properly before I packed my backpack again and drove from Canmore all the way to Jasper and then to Mount Robson Provincial Park to tackle the trail. After the completion I can just say, it was all worth the effort! 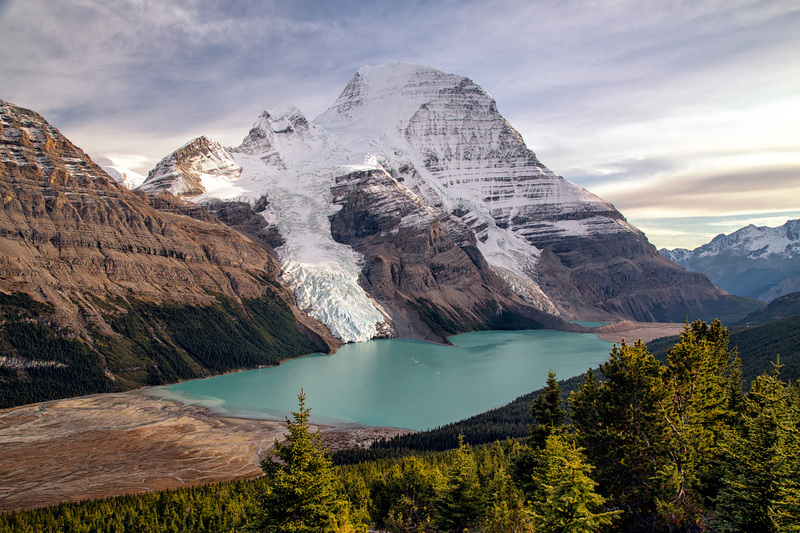 The trailhead for the Berg Lake Trail is just minutes away from the Mount Robson visitor centre and around an hour (ca 90km) drive west from Jasper on highway number 16. 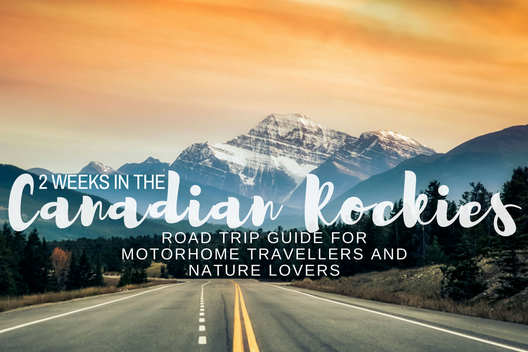 I decided to spend the night sleeping in my camper van on the parking lot in front of the visitor centre, to be ready to take off the next day, as early in the morning as possible. Since it was later in September prior campsite bookings were not required and I paid for the camping permit on the trail at the visitor centre in the morning before setting off. However with ever growing popularity of this hike getting a permit on the spot would be very difficult nowadays. If you are planning to do the hike during the official season (roughly between July and September) I would highly recommend booking your camping spot as soon as the reservation system opens. Bookings for the 2018 season opened on October 1st 2017! You can check the current fees and make reservations directly with BC Parks Discover Camping Reservation Centre. Upon registering, other hikers and I had to watch an old school video about the proper conduct on the trail. The video gives you some information about the park and how to be a good visitor. Take only photographs and leave only footprints, and for crying out loud don't leave you trash behind! It's worth mentioning check-in at the visitor centre is mandatory and you are better off following the rules. You are heading into backcountry! You don't want to end up like the guy from "127 hours" now do you? The track is well set up with multiple campsites that contain the usual: bear lockers/hooks, running water, grey water pits, outhouses and cooking areas. Don't expect any luxury though. Unlike the Mount Assiniboine or Lake O'hara hikes, there are no huts or backcountry lodges where you can sleep in. Your only option is camping. 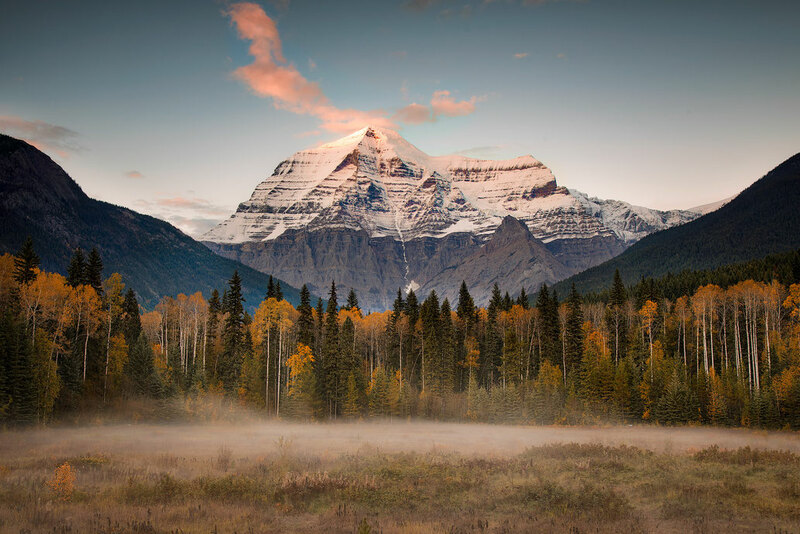 The hike starts a few hundreds metres away from the visitor centre at the Mount Robson car park. If you are a traveller and don't feel comfortable leaving your valuables in the car, you can rent a locker at the visitor centre for a few dollars/day and have peace of mind knowing your stuff is safe. From the trailhead the wide well maintained path leads slightly uphill following the left hand side of the Robson River. After 7km of hiking through the beautiful forest you’ll arrive at the first campsite on the shore of Kinney Lake. Although Kinney Lake is stunning I don’t think it’s far enough in to really maximize your experience. Take a break at the lake shore, have a snack and let's keep going! You are only just getting started! Leaving the lake behind you eventually head out onto the valley bottom. Hiking in between huge peaks on either side, it’s spectacular and you’re probably thinking “wow this is so easy, I should do more hikes like this”. Don’t be fooled, the difficult part is coming up pretty quickly. 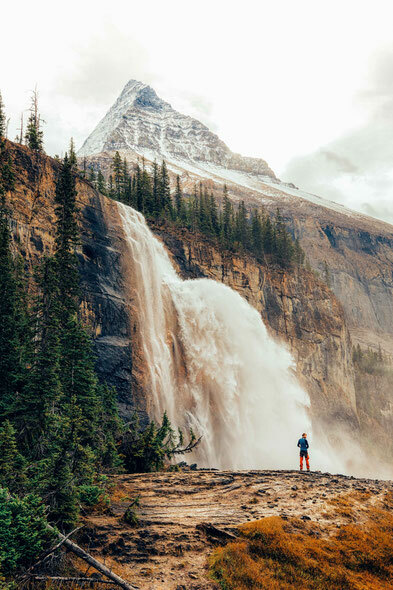 After passing the second campsite at Whitehorn you start to head up the mountain and into the Valley of a Thousand Falls. To put things in perspective, so far you gained 350m elevation in 11km. Easy peasy eh? You’re now about to gain over 500 m elevation in 5km. Now this sounds achievable to day hikers but just remember you’ll be wearing a big backpack. 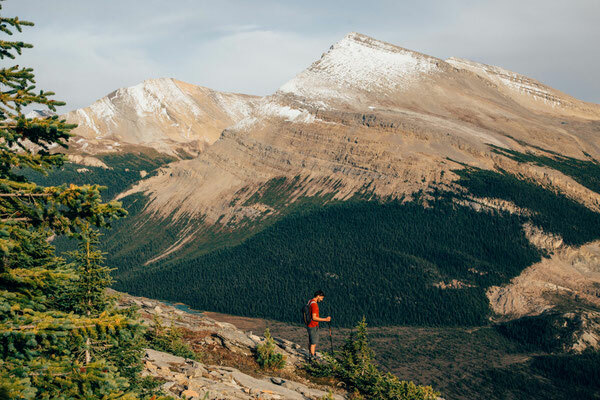 If you want to take it easy or if you left the trailhead later in the day you can hike to Whitehorn campsite on the first day, stay the night and tackle the more challenging part early the next day when rested. If however, you are relatively fit and left early enough you shouldn't have any trouble continuing onwards. Just remember your campsites are booked in advance, so if you haven't planned to camp here beforehand, you have to keep going! After a challenging 5k uphill battle take a well deserved rest at the Emperor Falls Campground. Congratulate yourself as you've done the hard part. I hope you remembered to stop at all the beautiful waterfalls, especially the very impressive Emperor Falls. Once you go past the Emperor Falls campground the trail flattens out again. 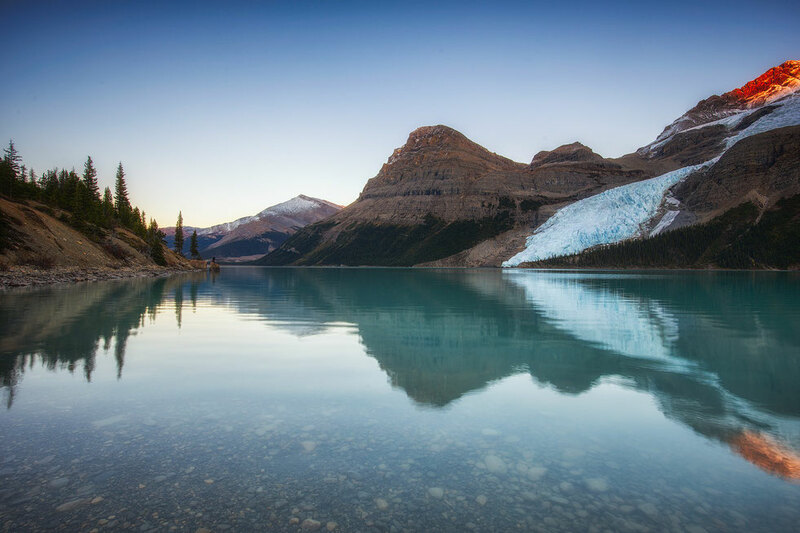 After another 3 km you will find yourself at the shore of Berg Lake and will get the first glimpse of the beautiful reflection of the north east facing side of Mount Robson and its glaciers. Stay the first night at the Marmot campground and find a spot on the lake shore to capture the last light illuminating the top of Mount Robson. At night you can hear colossal pieces of ice calving off the nearby glaciers, falling on the mountain slopes & into the lake. The loud noise woke me up few times at night, with my heart pounding and my mind half asleep, telling me it was grizzly bear growling just outside of my tent. 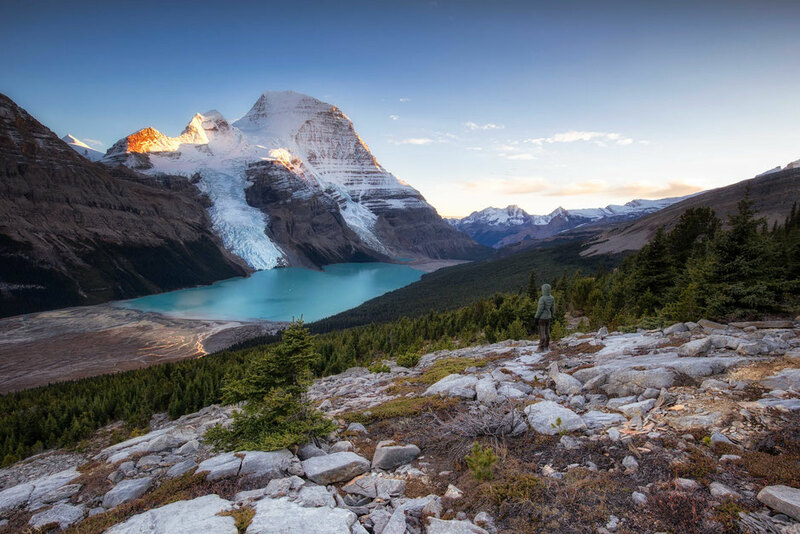 Early the second day pack your backpack and head to the Berg Lake campsite which will be your base for exploring the area. 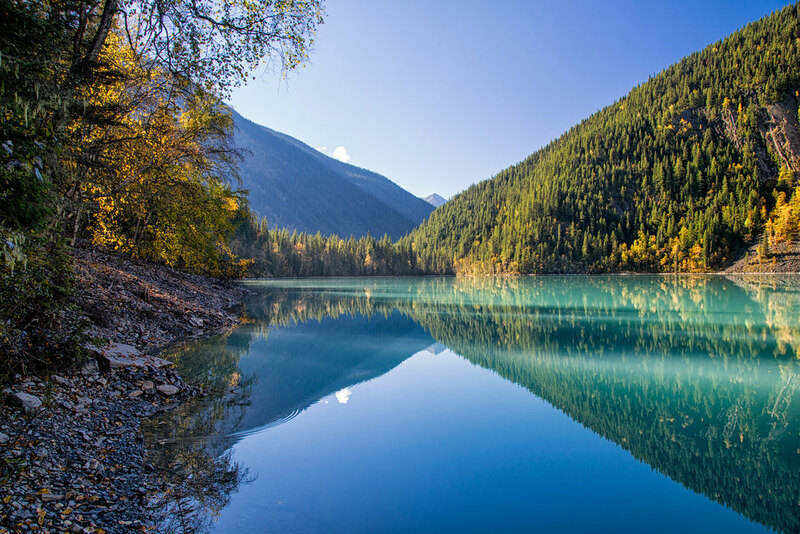 It's only further 2 km easy stroll through the forest along the western side of Berg lake. I highly recommend staying 2 nights at the Berg Lake Campsite to get a good taste of what the park has got to offer and to be able to explore beyond the trail. There are few day hikes you can do from the Berg Lake campsite which offer spectacular views of the surrounding areas. 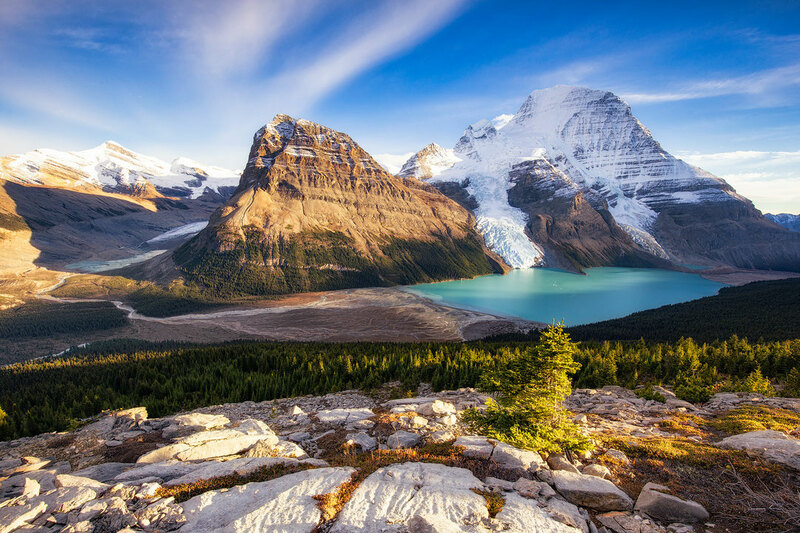 From either the Marmot or Berg Lake Campsite there’s a myriad of hiking trails going further up into the mountains or out to the quickly retreating Robson Glacier. My favourite side trip from here is the Toboggan Falls Route, which leads steeply up the falls and then swings right onto the Mumm Basin Route, from here you’ll have spectacular views of well, pretty much everything actually. Just look at the photos above. Toboggan Falls Route (2 hours, return): From the trailhead at the Toboggan Creek bridge near Berg Lake campsite, the trail climbs to Toboggan Falls and the surrounding alpine basin. This route intersects the Hargreaves Lake and Mumm Basin routes. As you'll be carrying enough for a 3 night/4 day hike you'll want to make sure that your belongings are as light, durable and practical as possible. With camping gear I believe that if "you buy cheap, you buy twice". You're always better off investing slightly more money in a better, long lasting product, that will make your experience more enjoyable. Over the years I've been through all different types of equipment but I can finally say that the gear I have now, is the best I've ever owned. My lightweight sleeping bag and a lot of my other hiking stuff is made by an Australian company called Sea To Summit. 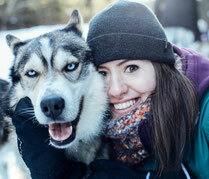 They specialize in outdoor equipment and their gear is innovative and of outstanding quality. In Canadian spring/summer/fall I use the Sea to Summit Trek III. It might be a little overkill in the summer but I am a cold sleeper. 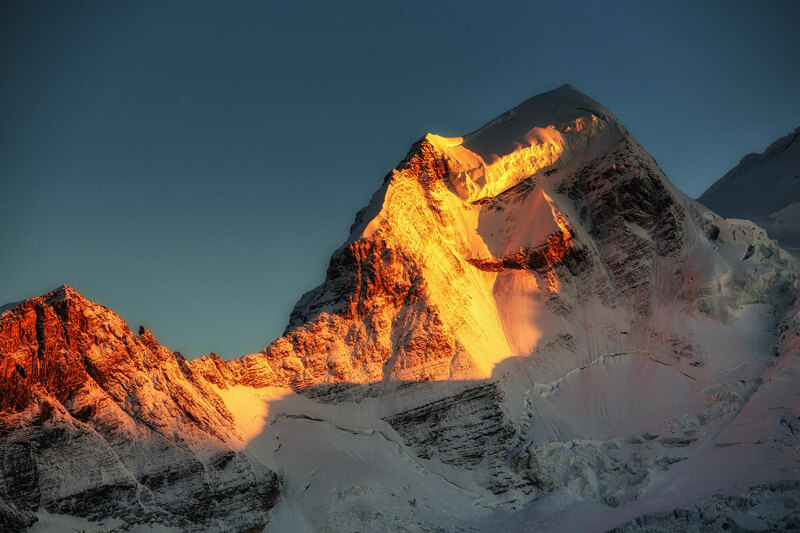 Besides even in the summer months the nights in the mountains can get very cold. I couple this with the Comfort Light insulated sleeping pad. I've always loved camping but used to hate waking up with a sore back/neck, this matt changed it. As I was on a spending spree I also grabbed their aeros travel pillow too, which when packed, fits into the palm of my hand. Now I've been over what goes inside my tent I tell you more about the actual tent itself. I use an MSR Hubba Hubba NX 2 person tent. It's extremely lightweight, strong and sturdy in the wind (I slept in it continuously for 3 weeks in Iceland and it stood up to the test!). It's also quick and easy to set up! On multiday treks I always take an MSR pocket rocket camping stove with me. This little thing weighs only 300 grams without compromising its performance. As for cooking utensils I use the X set 31 from Sea to Summit. They are lightweight and collapsible and take very little space in my backpack, leaving more room for my camera equipment. 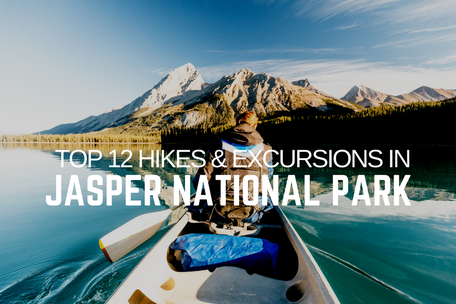 Most of the backcountry campsites here in Canada only provide non-drinking water. There are many ways to get around this which involve boiling water, using a sterilization pen or using iodine tincture. I think the best value however it to use the platypus water filtration system as it's lightweight, can filters thousands of litres of water and is relatively cheap too. Having it with me also means I don't have to carry a lot of water, but can refill my bottle on the go. Last but not least, and probably most important of all, DO NOT LEAVE WITHOUT BEAR SPRAY. It can save your life when encountering wildlife. Chances are you won't have to use it but just imagine how different The Revenant would have been if it was around then! After 3 glorious nights in the mountains, you should set off early. If you are fit enough you can tackle the distance back to the car park in just one day. Thankfully it's 21km of either flat or downhill and your packs will be lighter on the way out too. 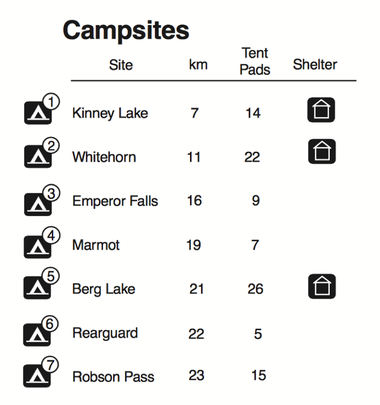 If you'd like to break the way back into two consider staying at the Kinney Lake campsite. Think to yourself that you’ve just completed one of the most scenic multiday hikes on the planet so a little bit of an arduous 4th day is hardly going to dampen your spirits. As always if you have any questions or tips don't hesitate to leave a comment below! I am always happy to hear what you think!